Step into the 3D World™. The VIERA® VT25 Series Full HD 3D Plasmas create an all new viewing experience by putting you inside the action and creating a new world of TV viewing realism. Tremendous developments have driven TV technologies from the 20th century until today. Among them, color TV and high definition (HD) TV were two major advances. Progress was achieved in recording media as well, from tape to DVD, and then to Blu-ray Disc™, with Panasonic constantly leading the way in both TV technologies and recording media. Now, Panasonic presents a third breakthrough in the form of Full HD 3D – and totally redefines image realism – with advanced image technologies that aim to bring more lifelike viewing experiences to us all. With both 2D and 3D sources, Panasonic’s flagship TC-PVT20/25 series plasma TV delivers outstanding overall picture quality. There’s plenty of hype surrounding 3D TV, much of it promulgated by the people at Panasonic, but the main reasons we like the TC-PVT20/25 series so much are contained by the traditional two dimensions. Yes, it beats the one other first-generation 3D-compatible TV we’ve tested, and yes, it actually includes 3D glasses, but with the scarcity of 3D content available today, the need to buy additional, expensive glasses for every family member, and the basic fact that 3D TV isn’t for everyone, we think this TV’s 2D prowess is the main reason to buy it. 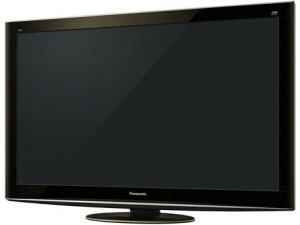 The TC-P50VT25 is the highest end top tier offering from Panasonic for 2010. The TV is 3D ready, has THX certifications, is Skype enabled (camera sold seperately), and contains Panasonic’s new NEO PDP (plasma display panel). How do all of these new features and the accompanying picture quality add up? The TC-P50VT25 is a 50 inch 3D ready TV that is part of Panasonic’s flagship Viera VT25 series of Plasma TVs. The VT25 is an upgrade over the VT10 line of Panasonic TVs from 2009. Along with 3D capabilities, the TC-P50VT25 features numerous technology improvements over the previous generation of Panasonic plasma TVs.With improved picture quality and black levels, 600Hz sub field drive technology for enhanced screen refresh rates and butter smooth 3-D performance, the TC-P50VT25 is an extremely attractive choice for consumers. Continue reading our review of the Panasonic TC-P50VT25 to find out if it is the best 3D TV for you.